Now, owning stocks involves a certain level of risk. That's especially true for retirees who don't have decades to recover losses. But if you're a retiree with some extra money set aside, owning stable, high-dividend-paying stocks can provide extra, valuable income in your golden years. 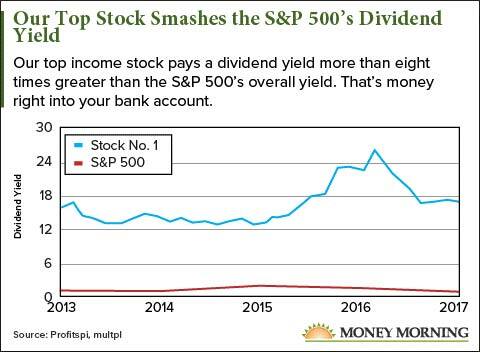 Money Morning Chief Investment Strategist Keith Fitz-Gerald says owning dividend stocks like these can be like earning a "second salary." "Dividends can work like magic when it comes to reaching your financial goals and a safe retirement," says Fitz-Gerald. In fact, one of the retirement stocks we'll show you below yields more than 17% on its dividend. That means a $10,000 investment would accrue $1,700 a year from dividends alone. An annuity can guarantee a steady rate of return – around 3% for a fixed annuity – but once purchased, you can't withdraw your money without paying extra. With a stock, you can sell shares when you need to free up the money. Plus, you'll profit if the share price rises. Additionally, fees from annuities and mutual funds chip away at your money, countering the added income. Managed fund fees can run over 2%. Annuities also come with complex fees. Fidelity lists 11 different fee possibilities depending on which annuity you purchase. Again, nothing beats a complete retirement plan when it comes to reaching your retirement goals. That's why Fitz-Gerald has put together an action plan to help you get there, too. But if you're looking to add a little extra income to your retirement with stable, high-dividend stocks, we've got you covered. Not only do these stocks pay high dividends – some yield above 15% – but these are well-run, profitable companies. 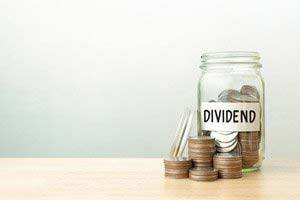 That's essential for income investors, because the company needs to keep generating profits to keep paying a dividend. Fitz-Gerald says, "a company's ability to keep paying and increasing its dividend is just as important in the long term" as high yields are. The Best Stocks for Retirees, No. 5: Ticc Capital Corp.
Ticc Capital Corp. (Nasdaq: TICC) is a corporation chartered under a unique tax structure that allows it to send more of its profits back to investors. Business Development Corps. (BDCs) were designed to allow average investors – not the hedge fund giants on Wall Street – to fund private startups. And that's the structure utilized by Ticc Capital Corp. Because Ticc is a BDC, it's required to distribute at least 90% of its income back to its investors. That's how Ticc pays its investors a quarterly dividend of $0.20 a share. With a share price of $6.55, the dividend yields 12.23% on your investment. That can add up to some serious income. The average working person between ages 56 and 61 has $163,577 in savings. According to Fitz-Gerald, "TICC's 12.23% yield would mean a $20,000 income stream a year – which amounts to $1,667/month of taxable income." While we don't recommend putting your savings into one stock, the example shows just how powerful of an income generator Ticc can be for your extra money. And Ticc is a well-run company. It has an operating cash flow of $315.16 million and a profit margin of nearly 10%. That ensures Ticc will be able to keep paying its huge dividend and can even raise it over the coming years. The Best Stocks for Retirees, No. 4: New Residential Investment Corp.
New Residential Investment Corp. (NYSE: NRZ) is the most unique pick on our list, since it's a real estate investment trust (REIT). NRZ manages a portfolio of real estate holdings and mortgages, which gives its investors exposure to the real estate market. While REITs can be used to diversify a typical stock portfolio, they also bring their investors serious income. NRZ has over $70 billion in assets under management, and those assets bring NRZ a quarterly income of $356.79 million. And nearly all of that income gets passed on to NRZ's investors since it's a REIT. "New Residential is required by the SEC to return 90% of taxable income to shareholders annually," says Fitz-Gerald. "That means money in your pocket, if you're one of 'em." NRZ pays a dividend of $0.50 a share, and with a share price of $16.95, its dividend yields 11.8% on your investment. The Best Stocks for Retirees, No. 3: Lockheed Martin Corp.
Lockheed Martin Corp. (NYSE: LMT) is one of the best defense contractors in the world, and it's hugely profitable. With a profit margin of 10.37% and total revenue of $47.2 billion annually, the company is raking in a profit of nearly $5 billion a year. And in 2017, the company announced it was increasing its yearly profit projections by 5%. You see, LMT is an exceptionally well-managed company with billions in government contracts across the world. But it's also plugged in to the Unstoppable Trend of war, terrorism & ugliness. The key to making huge profits is to find "must-have" companies that fall into what Fitz-Gerald calls the six "Unstoppable Trends": medicine, technology, demographics, scarcity & allocation, energy, and war, terrorism and ugliness (also known as "defense"). The Unstoppable Trends are backed by trillions of dollars that Washington cannot derail, the Fed cannot meddle with, and Wall Street cannot hijack. That means LMT is always going to be in demand, no matter what else is going on in the broader market. That lets LMT pay its investors a massive $2.00 dividend per share. That's right, the company will pay you $2 a quarter just for owning its stock. And it's likely you'll be growing your money by doing that, too. LMT is up 32% over the last year, jumping from $237.39 a share to $312.67 a share today. Analysts are projecting it could hit $340 a share. That's a nice profit opportunity for a high-dividend income stock. The Best Stocks for Retirees, No. 2: Arlington Asset Investment Corp.
Arlington Asset Investment Corp. (NYSE: AI) is another BDC, but this one focuses on owning government debt. That may sound like a dull business model, but rest assured, it's a lucrative one. AI has nearly $5 billion in its portfolio and is massively profitable. With a profit margin of 38.8%, AI is able to funnel more than three times the profit of any stock on this list back to its investors. That's how it manages a dividend yield of a whopping 17.17%, the biggest dividend on our list. And the best part is AI is likely to continue growing its dividend. Fitz-Gerald especially likes AI because of its long-term stability, which is essential for it to keep paying such a spectacular dividend. "This stability is exactly what you'd expect from a business gathering income through U.S. government-backed mortgages," Fitz-Gerald said. "It may not be the most exciting field, but it sure pays the bills, as you'll see from this company's quarterly dividend income stream." In fact, AI has upped its dividend 92% since 2010. The Best Stocks for Retirees, No. 1: ABB Ltd.
ABB Ltd. (NYSE ADR: ABB) is a Swiss company specializing in electrification, but that's just the tip of the iceberg with this company. Fitz-Gerald says the company is actually billing itself as a "technology leader," and that's important for its future. "Not many investors realize this, but more than 55% of ABB's sales are already from software and digitally enabled devices," according to Fitz-Gerald. That means ABB's future is looking bright, but its income potential is what attracts us to it here. ABB pays a dividend of $0.76 a share. With a share price of just $25.18, investors get access to that payout for a fraction of the cost of a stock like Johnson & Johnson (NYSE: JNJ), which pays a dividend of $0.84 per $132.77 a share. You see, Fitz-Gerald is a believer in the maxim that "price is what you pay, but value is what you get," and ABB delivers value. Plus it fits all three of Fitz-Gerald's criteria for finding value in stocks, which is essential to maintaining income. "My goal is to find a high-quality business with a proven track record, savvy management, and plenty of profit potential," says Fitz-Gerald. And ABB stacks up with all of them. Retire Rich… No Experience Required: Whether you're already retired or just thinking about it, America's No. 1 Pattern Trader has just revealed how you really can retire with just $12,000 and make up to $162,000 a year… for the rest of your life. It's like having your own "Retirement Money Machine." Find out what you're missing here. To buy ABB it's an ADR, with an ADR can you re-invest dividends ? My Schwab account will not let me. How do you determine in advance if a dividend is all dividend or partially UBTI?